Dorothy is the former Executive Director of the Center for Comparative Studies in Race and Ethnicity at Stanford University. She is an early childhood educator who is interested in public schools including teaching practices that are effective for diverse classrooms, alternative assessment processes that inform teaching and learning, and strategies that build inclusive communities of learners in schools. Her work with the Stanford Integrated Schools Project was an attempt to look at these various aspects of schooling in a large urban school district. Dr. Steele began her work with teachers and children in 1968 in Columbus, OH as the Director/Teacher of one of the city’s first Head Start Programs. During the 1970’s, she served as the Curriculum Coordinator for the City of Seattle’s Children’s Programs, an early childhood teacher educator, a parent educator, and, for eight years, the director of a large, university-based child care center. 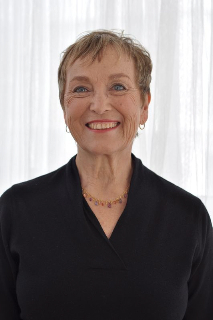 In 1987, Dr. Steele began her doctoral work in early childhood education and, with her advisor, developed an alternative assessment process for early childhood education, the Work Sampling System that is being used throughout the world. Her dissertation explored the negative impact of standardized tests on Kindergarten teachers’ educational decisions for their students. Dorothy Steele received her AB degree in music from Hiram College, Hiram, OH in 1967; the MA in Early Childhood Education from the Ohio State University in 1971; and an Ed.D. in Early Childhood Education from the University of Michigan in 1994. She lives in Stanford, CA with her husband, Claude M. Steele. Their family includes a son and daughter and their spouses and two energetic and loving preschool-aged boys who make life ever more sweet. Becki is currently the director of Not In Our School, designing curriculum, coaching schools and producing films and digital media on models for creating safe and inclusive schools, free of bullying and intolerance at a national non-profit the Working Group. She also is teaching online courses on bullying prevention for the University of San Diego. Becki worked in educational settings for over 35 years as a teacher and administrator. Dr. Cohn-Vargas began her career in early childhood education at the West Santa Rosa Multicultural Center in rural Sonoma County, California in 1975. She did community service in Central America in the Guatemalan Highlands and later in the Preschool Department of the Nicaraguan Ministry of Education. She then returned to California and worked as a bilingual teacher and principal in Oakland, a Curriculum Director in the Palo Alto, and most recently as Superintendent-Principal of a one-school district in San Jose. She also worked as a staff developer for the Child Development Program of the Developmental Studies Center. In each of these settings, she focused on developing, implementing effective teaching strategies for diverse student populations and creating environments that promoted educational equity. In 2003, she learned of the research on identity safety with the SISP project and designed a follow-up study with a group of elementary school teachers. Her doctoral dissertation focused on identifying, describing, and implementing identity safety. Becki Cohn-Vargas received a Bachelor’s degree and teaching credential at Sonoma State University, a masters in education at California State University, East Bay and her doctorate at Fielding Graduate University. Dr, Cohn-Vargas and her husband live in El Sobrante, California and have three adult children living in the Bay Area. With her husband Rito Vargas, Dr. Cohn-Vargas is also working to develop an environmental research center on their private reserve in the Nicaraguan rain forest.